With the knowledge and interest of design, we can create many things which are around us. With the hope of learning something new, several innovative ideas come to our mind and we try to make it. Whether it is very easy or hard, after all it is an achievement. Many beginners get happy by making things which are very simple. They are doing it all right. Small things together build up something big. So today I came up with an amazing but a very simple and easy tutorial. Do you play chess? Okay if you don’t play chess, you must know how a checker board looks like. Have you ever tried to make that using Photoshop or Illustrator? If not then don’t worry. Today you will learn How to create a checkerboard using Adobe Illustrator. There are many ways of creating it but here I am presenting you the simplest method. Beginners will love creating it as it is one of the easiest things to draw and a very simple and fun job. 1 – Create a new document: File>New. Use the following settings as shown in the picture below. Since it is a checkerboard, it will be a square shape. So I am taking the width 1000px and height 1000px at 300 ppi. 2 – Now create a square by using the rectangle tool (M). To create a rectangle, hold both Shift+Alt key and create a square of your desired size. Select the color to black. You can change the color according to your choice if you want your board to be fancy. 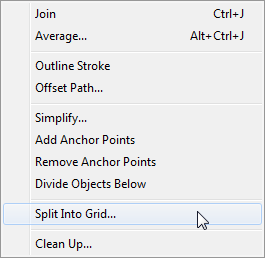 3 – Keeping the rectangle selected, split the rectangle into grid: Object>Path>Split into grid. 4 – A new window will open. In that, select the number of rows and column to 8 as a checkerboard is of the dimensions 8*8. Click OK.
5 – Your square will be divided into 8 rows and columns. Resize the square. You can resize it to the whole document size. 6 – Now you will see that all the squares are black in color. We need to change that. So there are two ways of doing it. a) Select each square one by one and change its color to white. b) Select all the squares by holding the Shift key and then change its color to white. Both the methods can be used. There is nothing special about a particular method. 7 – Your checkerboard will look like as shown below. 8 – You can make it look fancy by changing either of the two colors. See the example’s shown below. So your checkerboard is ready. It was very simple to do. What most people think of these tutorial’s, is that they aren’t helpful. Well they are truly wrong. What if they didn’t know about the tool of splitting an object into grid? It’s not just about the tutorial, it’s about learning new tools and methods. So how was the tutorial? Want more? Here is one more for you. Any problems, questions or suggestions can be asked or given by commenting below. Share your experience about this tutorial. And share it if you loved it. I’m very new to photo editing/designing. I have a problem and I’ve searched for some video on Youtube to find the answer I need but nothing helps. How to do something like checkerboard, but with different shape? In my case, I wanted to do a group of parallel same-size triangle to design a tshirt. A quick example is; I wanted to design something like Spain Football team’s Away Jersey they wore for Euro 2016 (the white jersey with orange design on it). Hope you could helps. Thanks!